Well, Emeril, I have an answer for you. It’s not one person. Cooking “rules” evolve over time and are based on trial and error. So you ignore them at your peril. I do have to say though that cooking and baking are two different beasts. You can do the occasional “Bam” when you cook, but baking is a series of chemical reactions. No bams allowed. A bad cake won’t cause much more than heart-burn, unlike mixing ammonia and bleach, but the reason a cake turns out well is because of chemical reactions every step of the way. 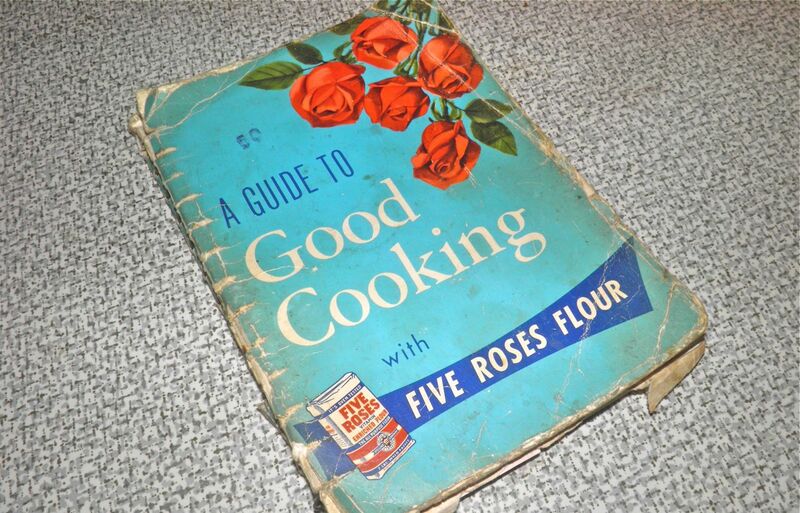 The following information is verbatim from the “A Guide to Good Cooking with Five Roses Flour” cookbook (pp 49-50), published in Canada in 1959. It was my Great Aunt Hilda’s book and has many recipes check marked, circled and/or underlined. I remember more than a few cakes from when I was very young. One in particular was a cake that had a drizzle frosting and then what Aunt Hilda called “thousands and thousands” – the little multi-coloured cake decoration balls the size of grains of large sugar. 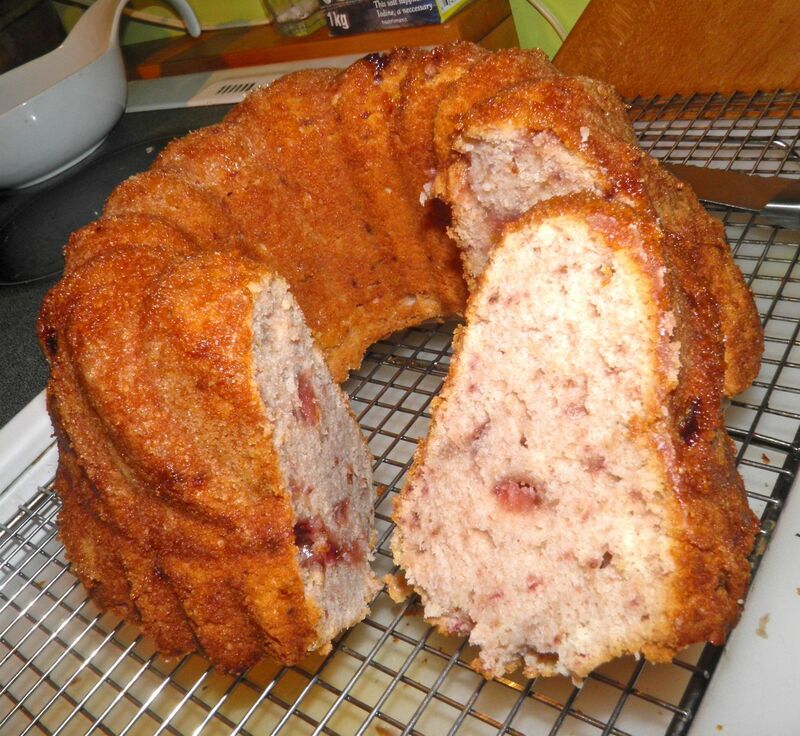 She and her sister used to make a regular sized cake and then one in a child-sized tube pan – just for me. Yes I was spoiled, but with the best of intentions. I loved both my Great Aunts with all my heart. And still do. Practically all Butter Cakes are mixed by the same method. When making cakes which call for only one or two eggs, the yolks and whites of eggs are usually beaten together; when more than two eggs are used, whites and yolks are usually separated, and the whites stiffly whipped – are folded in at the last. 1. Heat oven. 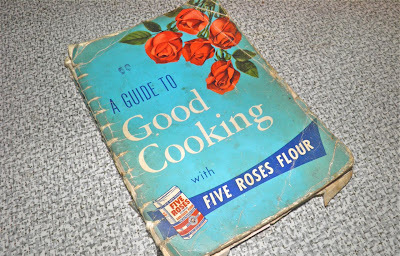 Line cake tins with wax paper, or grease them lightly and dust with Five Roses Vitamin Enriched Flour. 2. Sift and measure flour. Sift flour, baking powder and salt 3-4 times. 4. Beat eggs or egg yolks until thick and light; add remainder of sugar gradually, beating between additions. 5. Combine egg and butter mixtures, and beat until mass is light and fluffy. 6. Add dry ingredients alternatively with liquid, beginning and ending with flour.Each portion of flour must be beaten into mixture before adding more liquid. When flour has been added, beat the mixture only enough to make it smooth. Add flavouring. 7. When eggs have been separated, fold in stiffly whipped whites at the last. 8. Pour at once into prepared pans. With mixing spoon, push the batter well to the sides of pans, so the cake will bake with an even top. 9. Bake on centre rack of oven, at temperature given with each cake recipe. Do not open oven door until cake has baked for 1/3 of full baking time. When cake is 3/4 baked, turn to bake evenly. 10. When baked, remove from oven. Invert on cake rack. 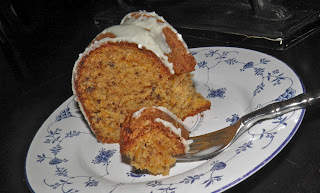 Allow cake to stand 5 minutes, then lift off the tin. Should cake stick, wring a cloth out in cold water, press over bottom of tin, and allow to stand for 2 minutes, after which cake should drop out without further trouble. A cake that is correctly baked should shrink from the side of the pan; it should be an even brown colour and should spring back when centre is touched with the finger. A toothpick or long darning needle inserted in the centre should come out clean. Cakes made with Five Roses Vitamin Enriched Flour should be baked to a rich golden shade. 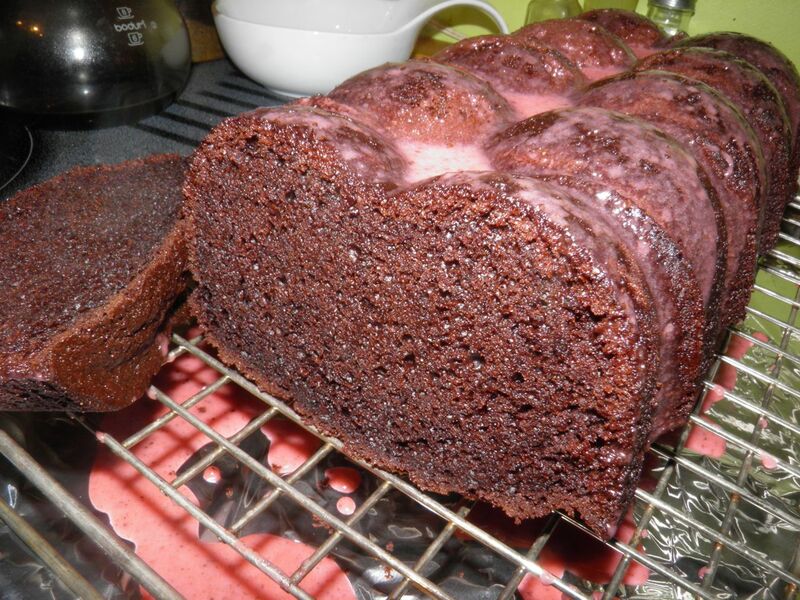 If cake should burn on the bottom, allow cake to cool, then grate off the burned portion, using a lemon grater. 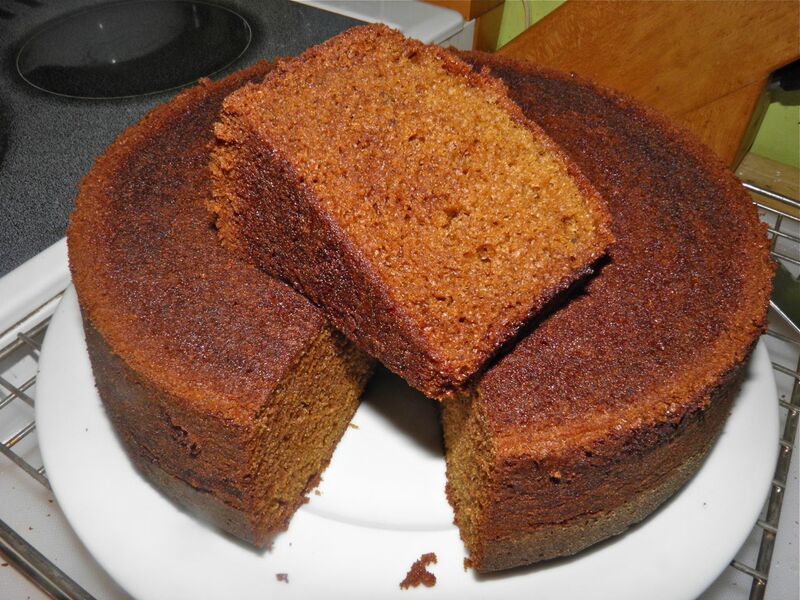 Dryness in cakes is usually caused by too much flour, roo much baking powder, or over-baking. 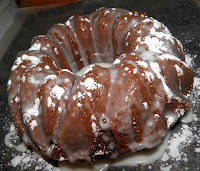 Cakes made with Five Roses Vitamin Enriched Flour will be light but moist, and will remain fresh. Sponginess is usually caused by too much fat or sugar, by undercooking or by too little flour. A coarse-grained and heavy cake is sometimes caused by too little beating. Mix as directed. Bake for 25 minutes at 375°F. Mix as directed. Fold the stiffly whipped egg whites in at the last. Bake for 25 minutes at 350°F to 375°F. So there you have it. The repository of all things simple butter cake – all in one handy spot. I was intrigued when typing the information in with the similarities between one- and two-egg cakes, and the difference once you hit three eggs. This simple cake can be layered and stuffed with all manner of fillings, or flavoured in different ways. 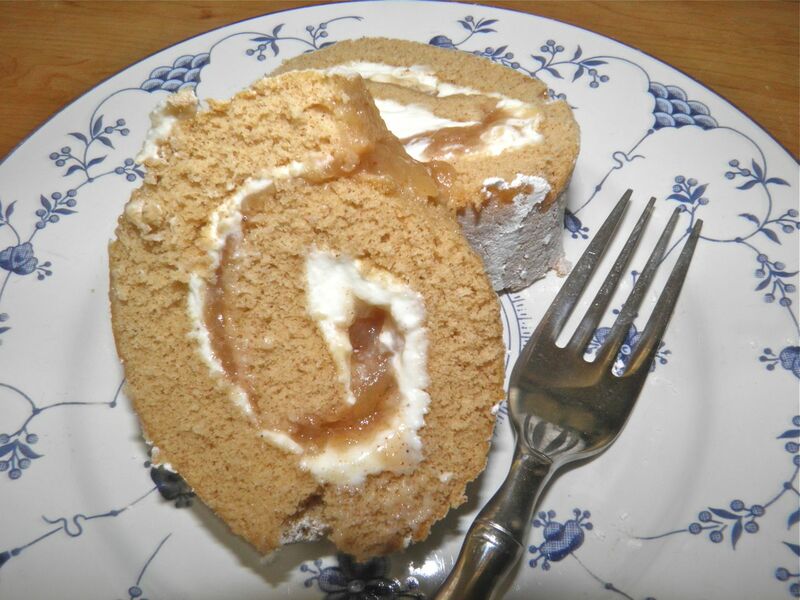 Banana cream cake has layers sandwiched with cream filling, walnuts and mashed bananas; butterscotch cake uses butterscotch flavouring; Maple Cream uses maple flavouring and maple cream filling. There is quite a list in the book. Too much for one post, to be certain. We should all try at least one of these cakes. I know it will be handy for me. There’s been more than one time I have been craving cake but only had one egg in the house. Now I know what to do. No “Bams” allowed. So nice to read Aunt Hilda's name. Sweet memories of pink mints, the smell of freshly baked goodies, and her love of music are imprinted on my heart. I miss running off to visit her in her perfectly kept little white house!